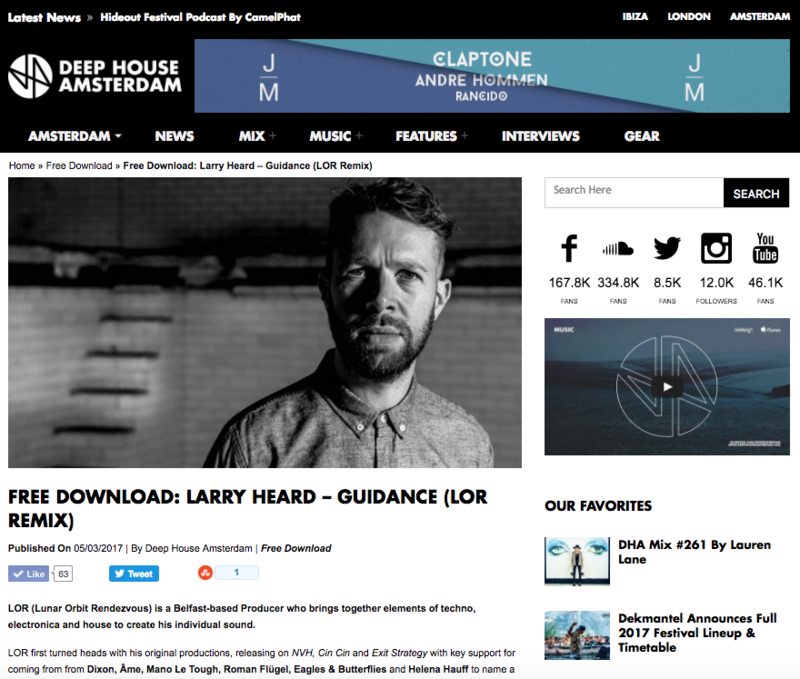 Influential electronic music outlet Deep House Amsterdam has linked up with fast-rising techno producer from Belfast, LOR, to give a free download to its readers. LOR’s “Versions” series has been supported by such luminaries at Dixon, Ame. 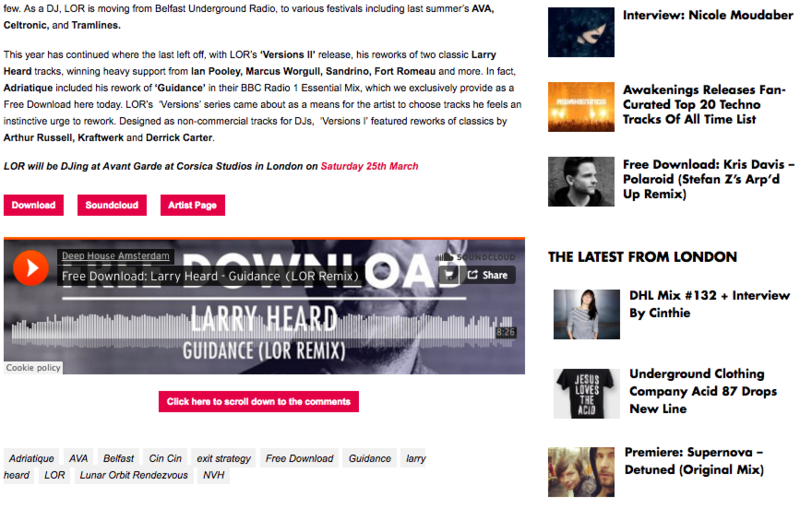 Roman Flugel, Gerd Janson, Bicep, Mano Le Tough and many more. 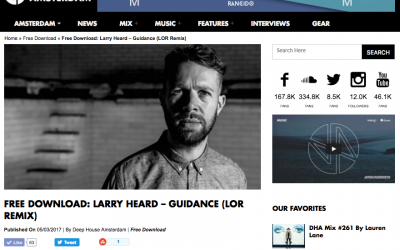 The Deep House Amsterdam free download is LOR’s rework of one of his favourite Larry Heard productions, ‘Guidance’. 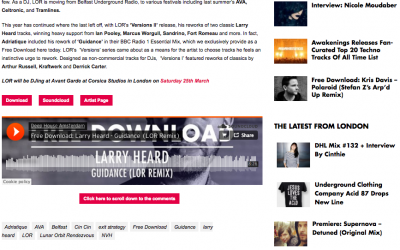 LOR’s rework from his “Version 2″ release has been supported by Ame, Ian Pooley, Eagles & Butterflies, Marcus Worgull and more.